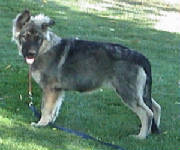 Take a close look, if your dog looks like one of these, it is NOT a German Shepherd Dog. 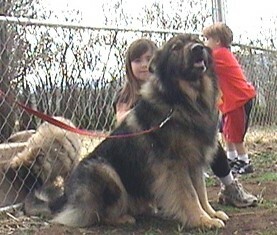 All these dogs were bred by me and I have pedigrees and photos to prove that they are NOT German Shepherds. The mother looked like a large Cocker/Golden R.
There is no breed club and no registration club assosiated to these dogs but there are thousands of them! They are not 'set in their genetic characteristics and do not breed true. 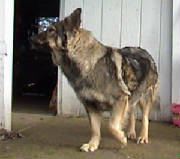 They kind of resemble a German Shepherd dog, but if you put photos up next to the dogs, anyone can tell it is NOT a German Shepherd dog. 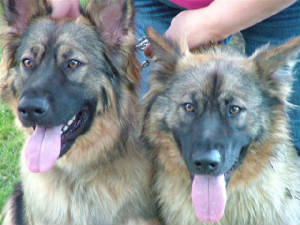 They do have German Shepherd blood or genes running through their lines and since the German Shepherd look is very dominate, most of the dogs can pass off as being a pure bred German Shepherd dog. 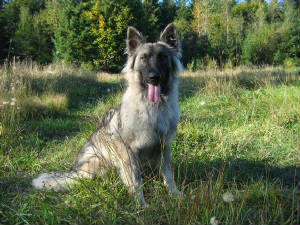 Breeding short coated German Shepherd dogs for over 120 years will only get you short coated German Shepherd dogs as the long coat has been illiminated and will never come back until...... one day..... some one breeds something else into the lines and hides it. The first generation or F-1's will pass off as pure breeds and can be papered and even enter into show rings! But the further down the lines you go, you begin to get different coats and looks and ooops, something is different now! 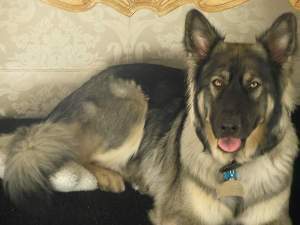 Other breeders and folks say, wow, this is great, lets keep it and breed it and see what we get for it is most certainly a pure bred cause we have paperwork saying that it is! That is how it starts. 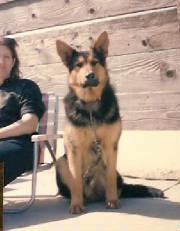 This is an F-1 German Shepherd x Alaskan Malamute that passed as a German Shepherd dog and won an agility contest in the GSDC of Ventura County back in 1987/88. 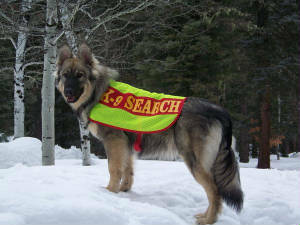 This dog was also entered into the Schutzhund sports and worked the sport well enough. 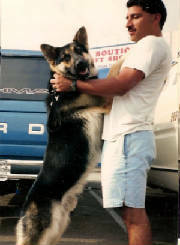 The dogs name is Hoss, that gal is me, Lois Denny Schwarz and the photo was taken in 1990 or so. All of the photo's on this page are his offspring. In the photo above you can see F-3 , F- 6 and F-2/F-12 (right to left). 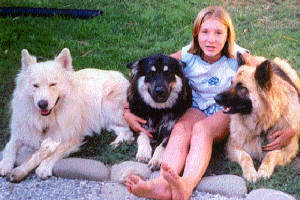 The dog in the middle was a result of a black and tan F-5 Shepalute or malamute/shepherd. 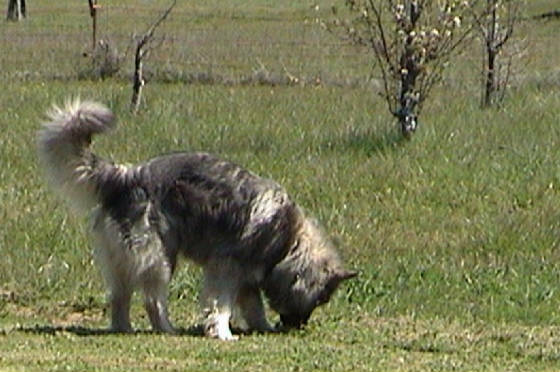 The Malamute was five generations back so no one would be able to tell if I sold you his Great Grandmother as a German Shepherd dog. 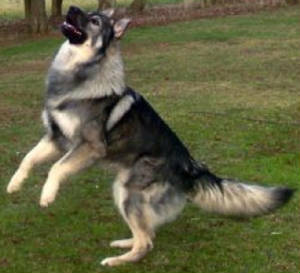 Oh, he is just a bi colored German Shepherd (NOT). 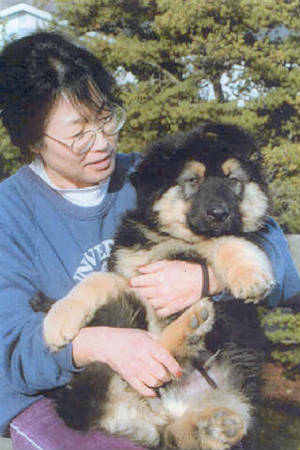 MY COMMENTS: The LONG COATED German Shepherd is NOT A GERMAN SHEPHERD. Let me repeat my self... the L. C. is not a GERMAN sheepherding dog (actually the GSD of Germany is not a German Sheep herding dog either). How can I say that? 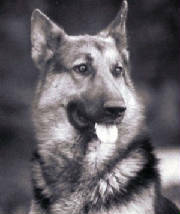 When the character and temperament of the 'WAR DOG' replaced the "sheep herding dogs" the real gsd ceased to exist. 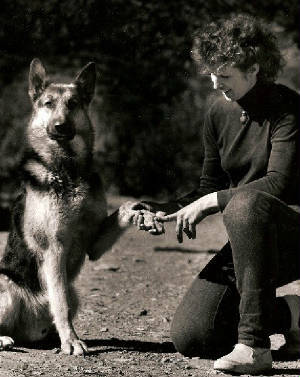 A GERMAN Shepherd is a dog that was founded in Germany and who has GERMAN standards that are set in stone by the founding club the SUV AFTER the war. Before the war the Captain was breeding dogs for sheepherding. 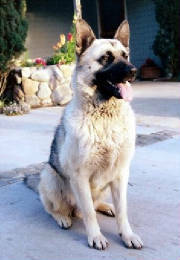 During the war a new dog emerged, this was the German WAR DOG. Now, say that since these folks are seperated from the MOTHER LAND... and they have no one over here to guide them, say they agree to register these 300 dogs through the country that they themselves reside in.... AKC. This registration club says, "sure , we will register you guys! And you guys must follow our rules!" Boy what a deal huh? What they have just done is created a NEW BREED OF DOG (by evolution). 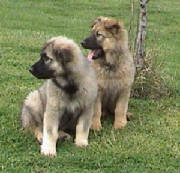 But instead of calling this breed the AMERICAN German Shepherd Dog, they call it the (police dog) and later the German Sheep herding Dog. No one contests this and everything runs smoothly for all concerned? 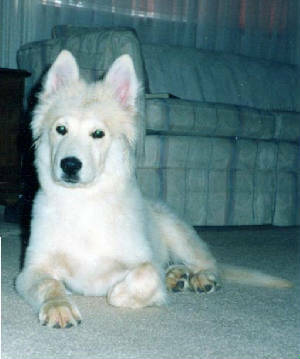 That was the begining of the 'AMERICAN GERMAN SHEPHERD DOG' and the LONG COATED so called German Shepherd Dogs cause they came right after them. oh, so you say "we want a choice" "we want a different look to the same dog, another VARIETY". With AKC it is possible because as long as the PARENT dogs are registered then the pup can be registered, who cares what it looks like if it is not going to enter the show ring? Heck if it brings the money in and we clear 10.5 billion dollars in one year, we are not going to say anything!" Just because the American GSD show breeders, handlers and judges did what ever they decided that was best for (themselves)... 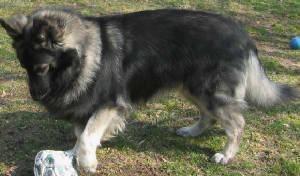 The breed has all but evolved into what is now the AMERICAN SHEPHERD DOG.